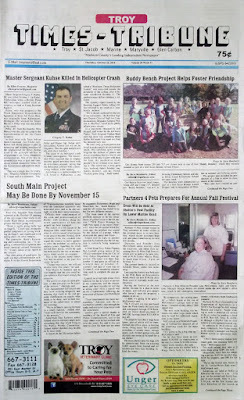 The Oct. 22, 2015 edition of the Times-Tribune is now available. 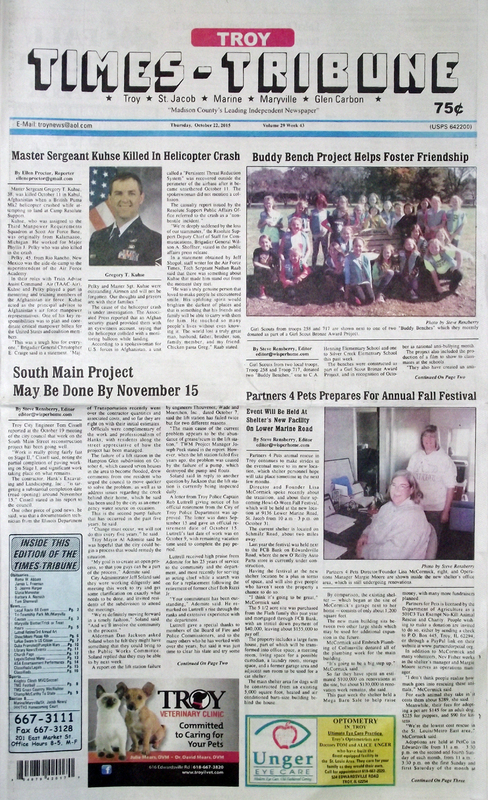 Some of the headlines in this issue: Master Sergeant Kuhse Killed in Helicopter Crash, Buddy Bench Project Helps Foster Friendship, South Main Street Project May be Done by November 15, Partners 4 Pets Prepares for Annual Fall Festival, Local Route 66 Event Expected to Draw Visitors From Across U.S., Maryville Considers Payment For, Work on Sugarloaf Drainage, Luttrell Retires from Troy PD After 25 Years, Troy Resident Sworn in as U.S. Citizen in Ceremony, Knights Clinch MVC Title with 35-13 Win Over CM, TMS Cross County Teams Win at State Meet, St. Jacob Promotes Officer to Sergeant in Charge of Training; plus we have a column about safe driving in residential neighborhoods, a photo feature on an anti-bullying assembly at THS, and lots more! 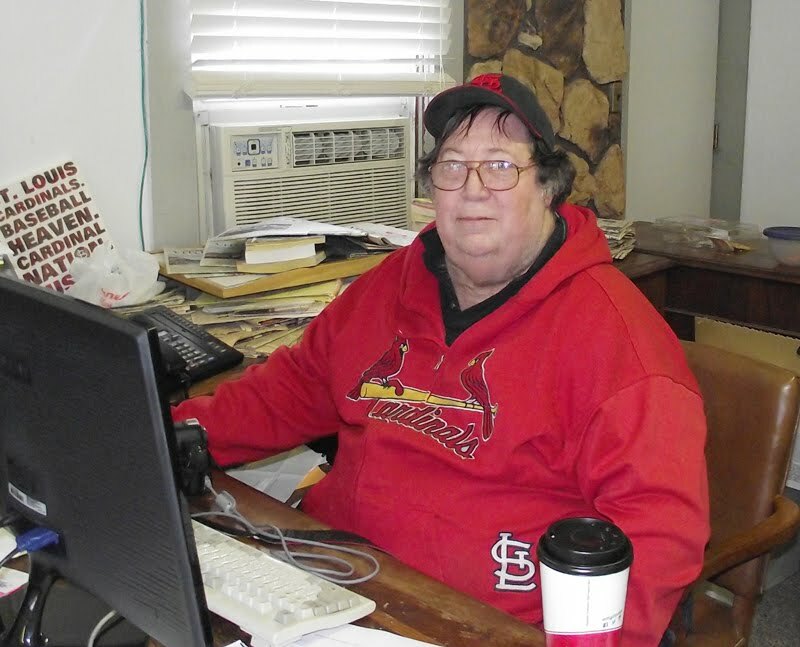 This edition has obituaries for Roma W. Abbott, James L. Freeman, S. Jeanne Harper, Gloria Manester, Barbara A. Nemeth, and Tom Shemwell.